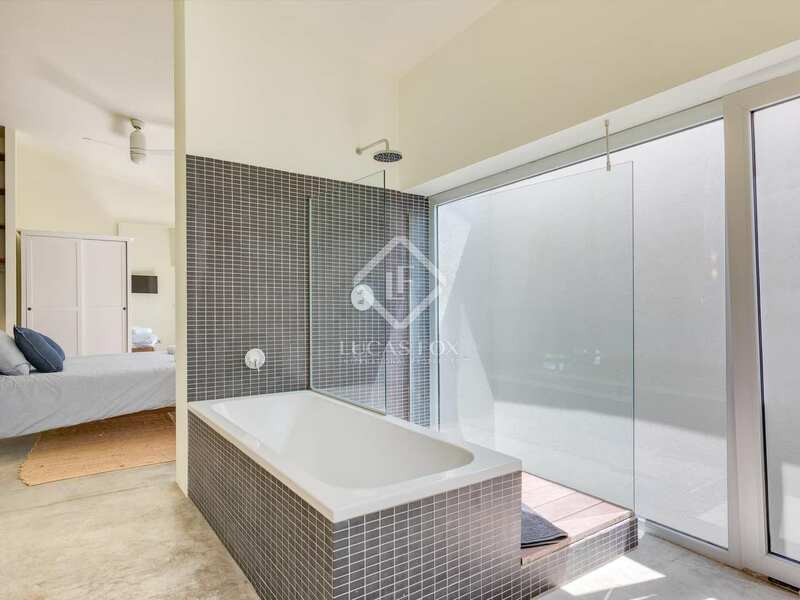 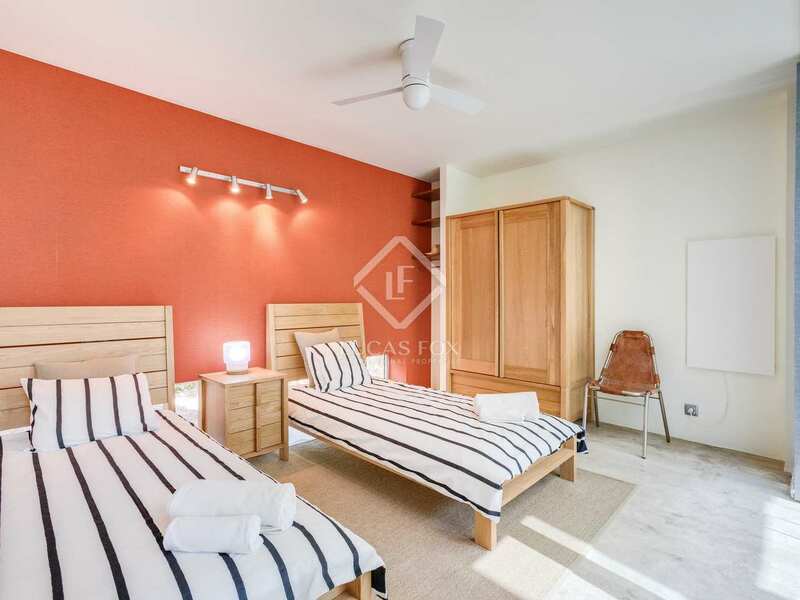 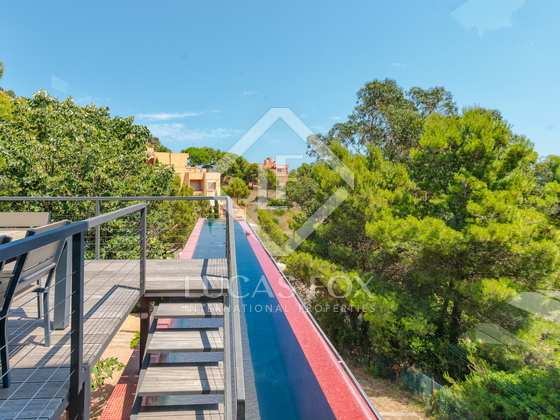 Unique, contemporary loft style villa with a 20m suspended swimming pool just a few steps away from Aigua Xelida beach near Tamariu. 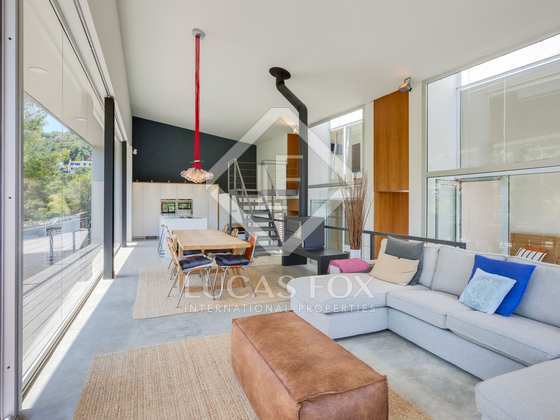 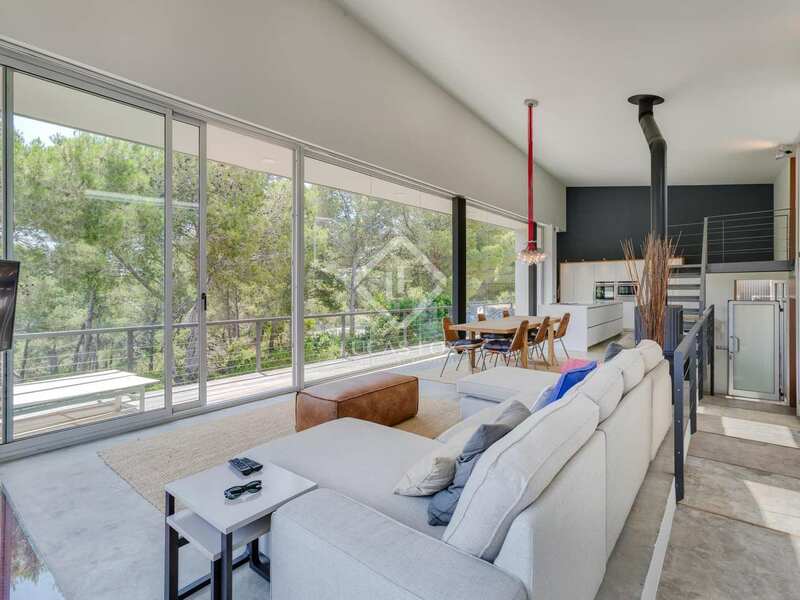 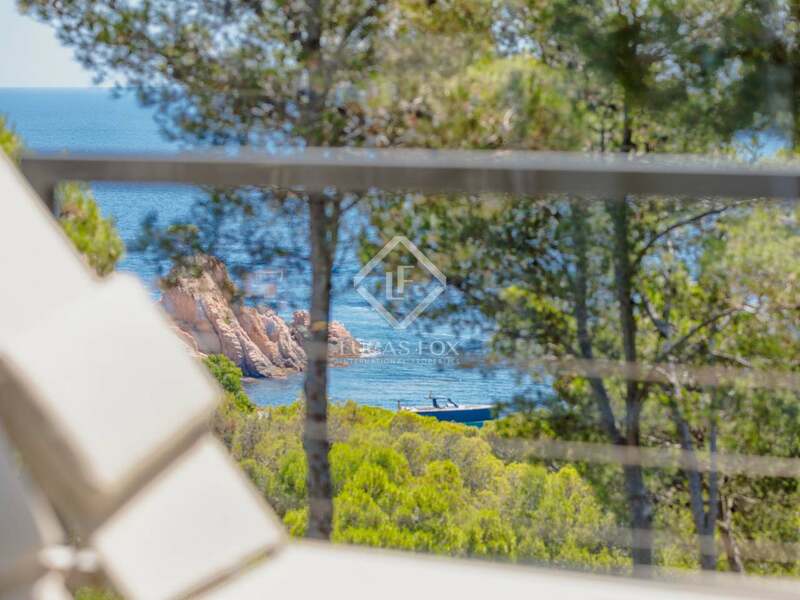 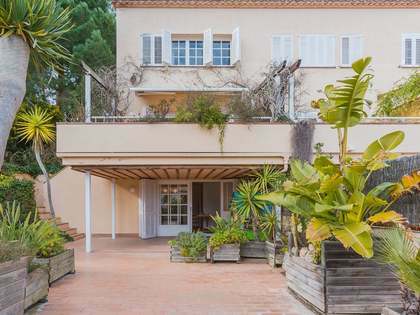 This unique, contemporary-design home sits in a privileged position just a few steps from stunning bay of Aigua Xelida near the picturesque village of Tamariu on the Costa Brava. 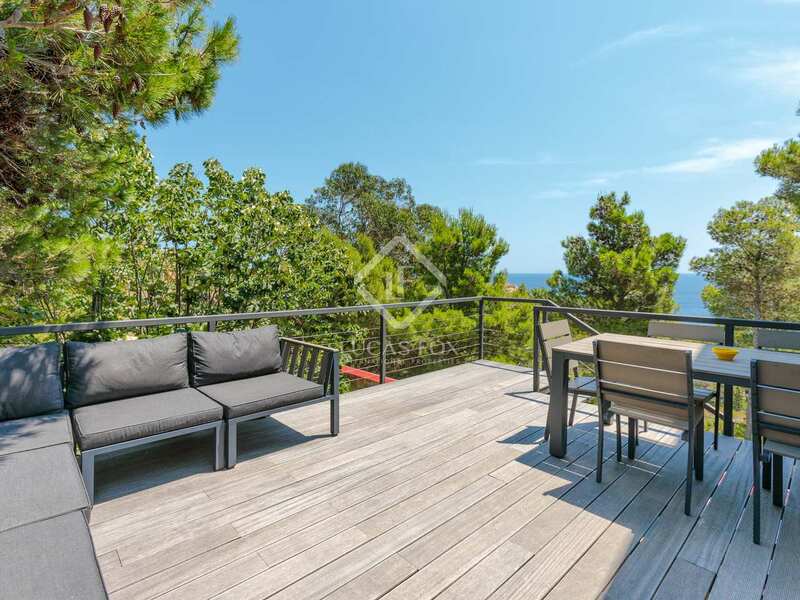 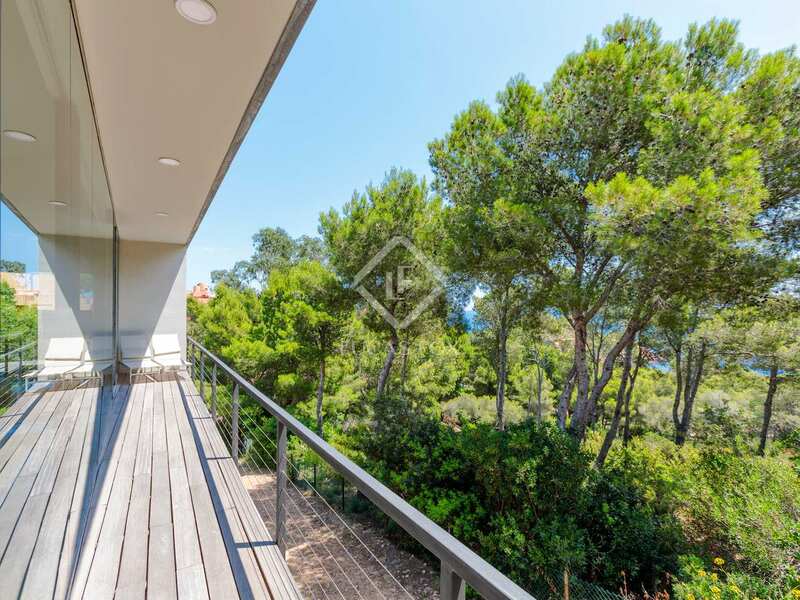 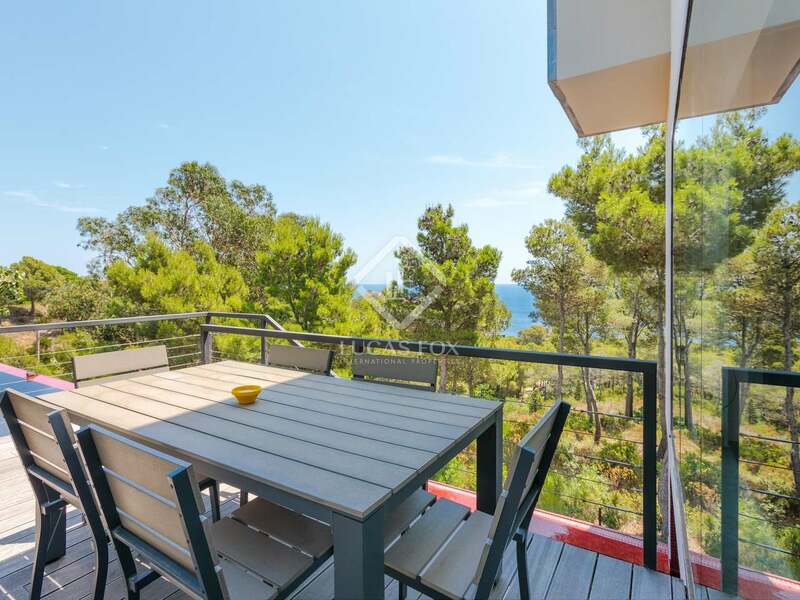 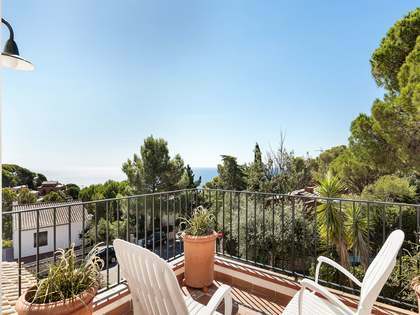 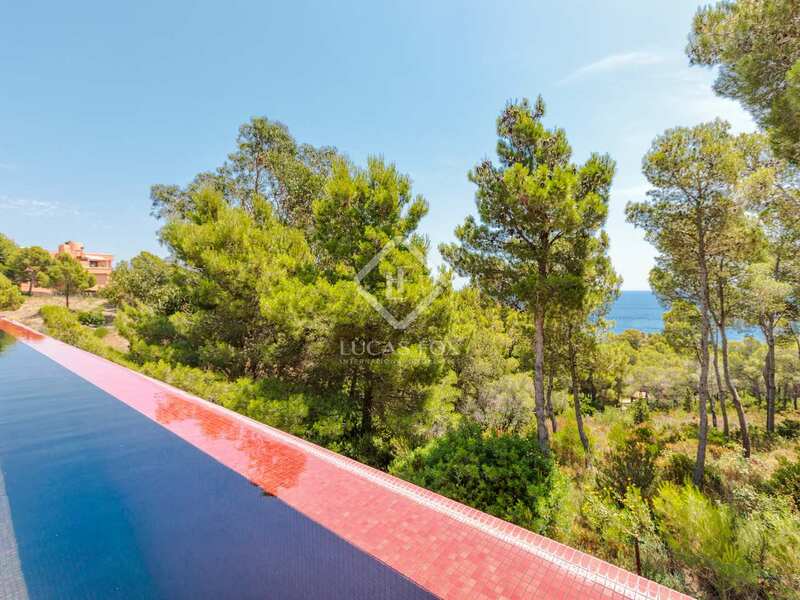 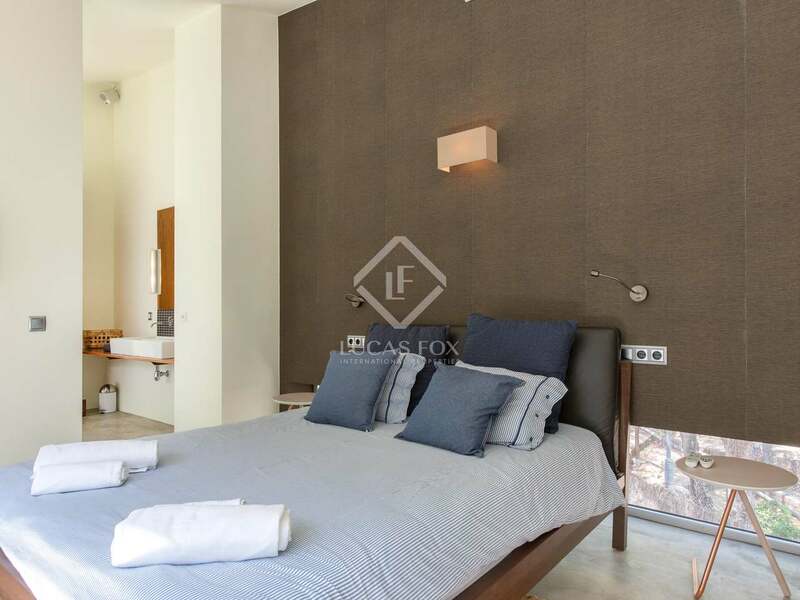 From its elevated position the 3-bedroom property boasts beautiful views of the Mediterranean and the surrounding pine forest hillside. 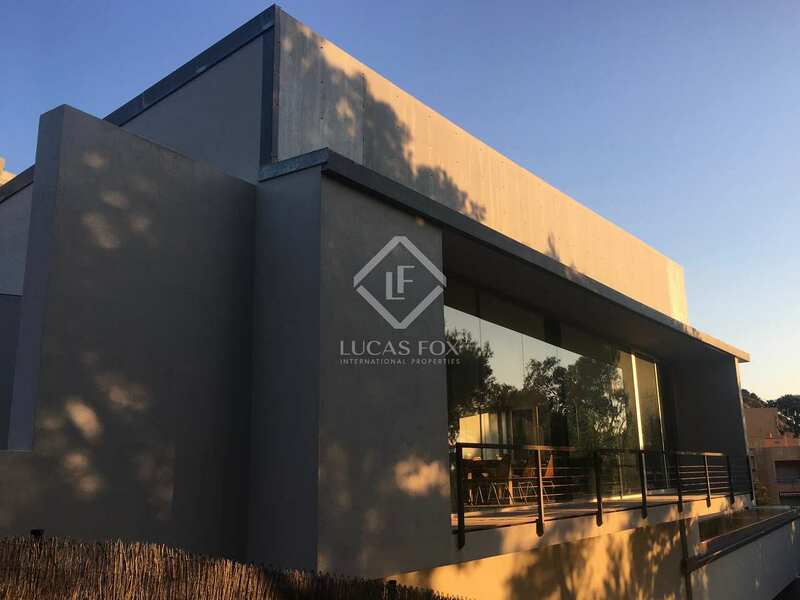 The house is the nearest detached property to Aigua Xelida bay, just a few minutes walk down a wooded path from the front door. 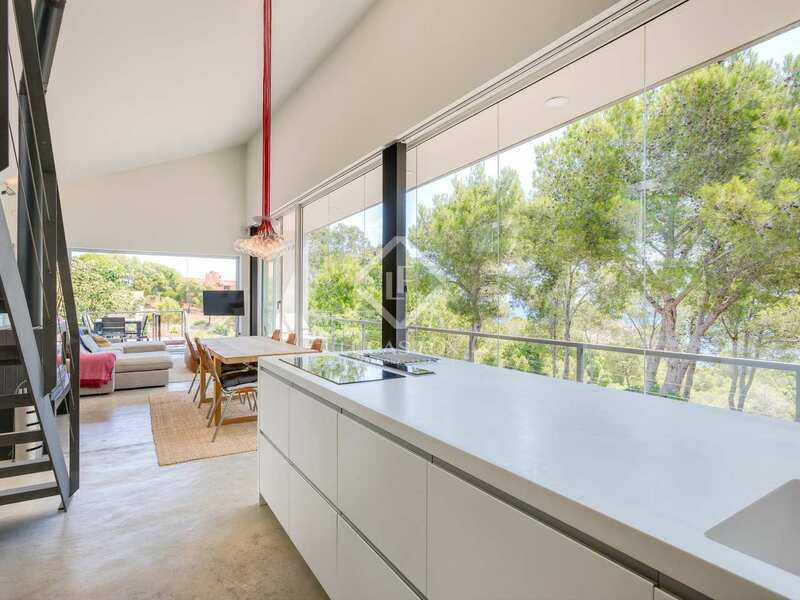 This award winning property was constructed in 2004 by the Barcelona based Archikubik practise and is a really different style of modern house to those usually found in the Costa Brava. The property's standout feature is a spectacular 20m long, glass-ended swimming pool which emerges from the main living space and extends suspended above the garden below. 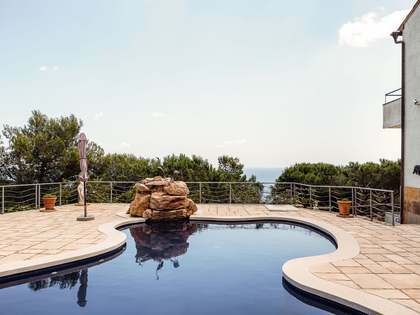 This dramatic feature creates a wow factor for the house and a pool long enough to allow enthusiastic swimmers to enjoy a proper work out. The multi function main living area is distributed across one level and is based on the concept of New York loft style living. 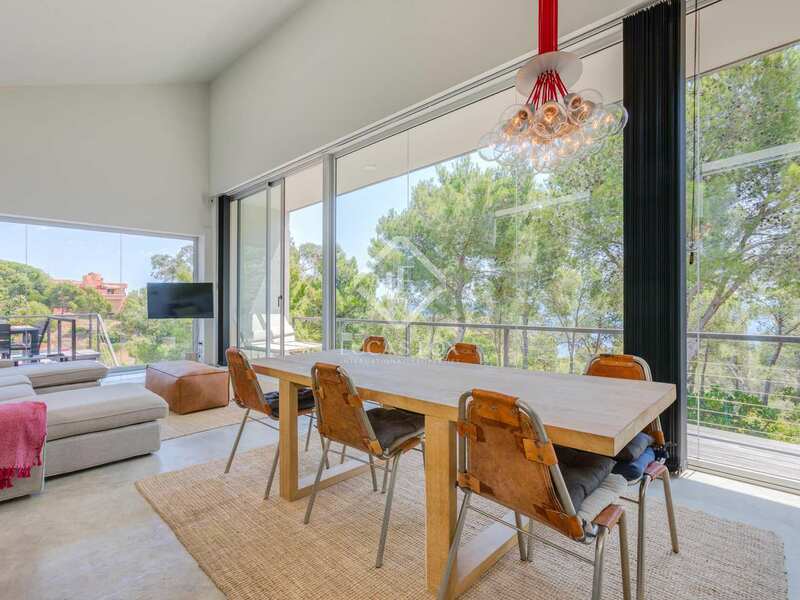 This space is particularly impressive with ceilings that reach nearly five metres at points and sliding patio doors leading to two terraces with views of the sea and the swimming pool. 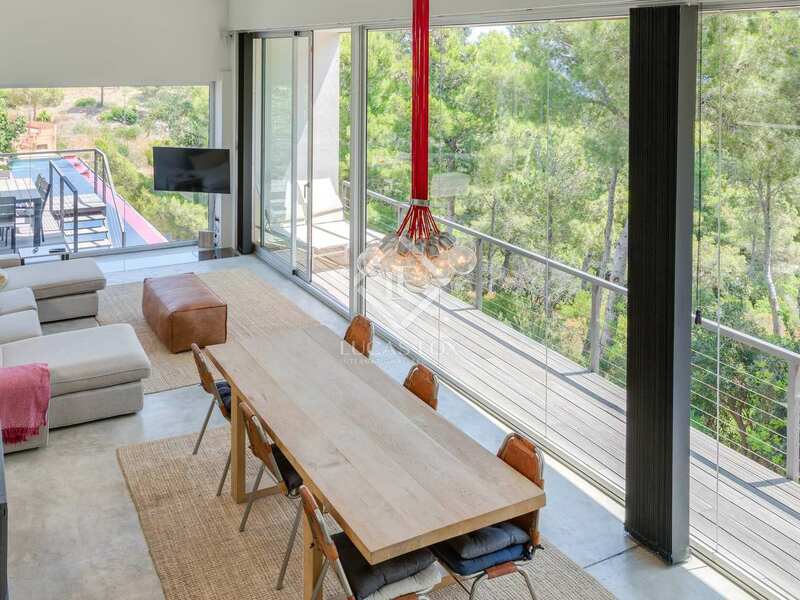 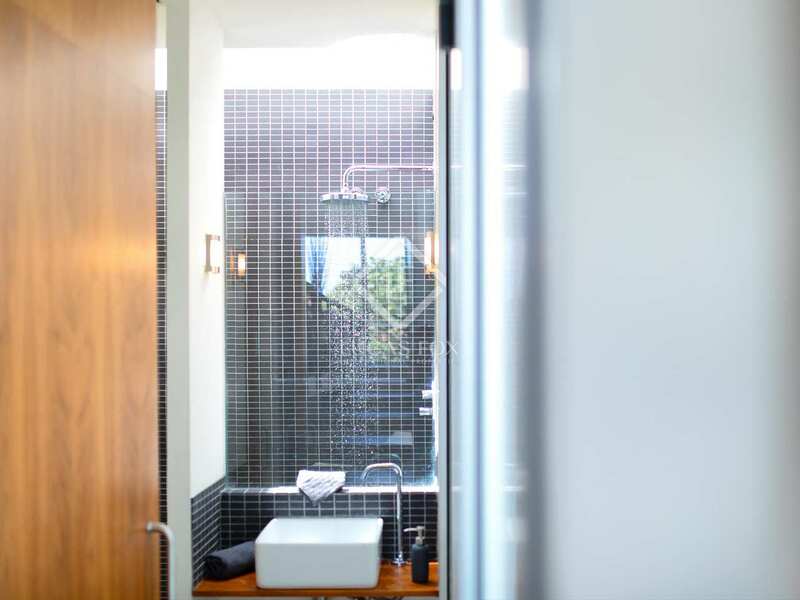 The materials used - metal, concrete floors and walnut wood - give a stripped down feel designed to work with the natural beauty of the area in which the house sits. 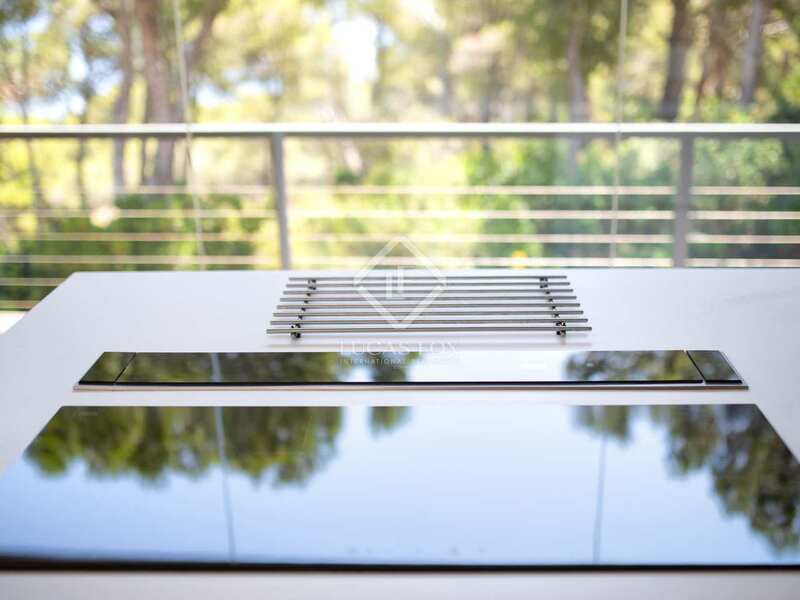 The kitchen is fully equipped with Neff appliances and the focus is a central island built by Porcelanosa made from Krion which features a large induction hob and a retractable extractor. 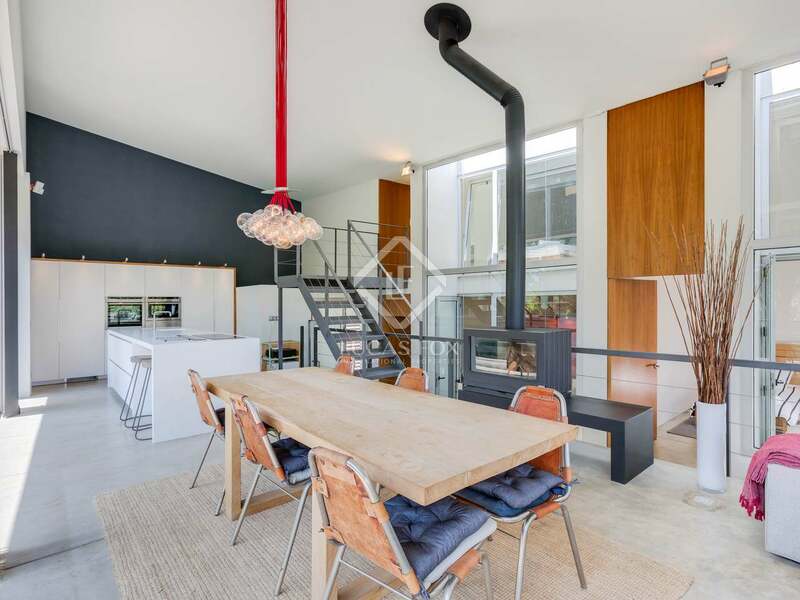 A contemporary wood-burner and electric radiators help provide warmth for the house in cooler months. 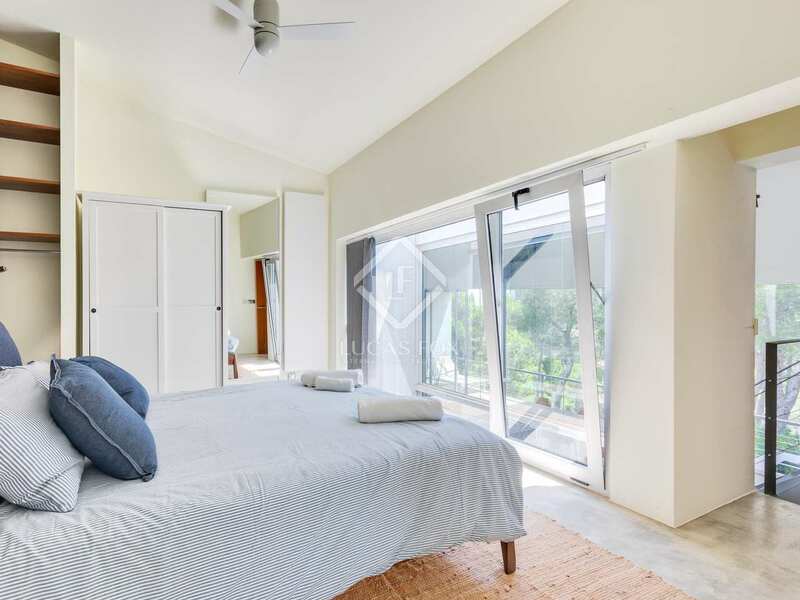 This main room brings the whole house together and is perfect for lounging, informal dining and relaxing late into the balmy summer evenings. 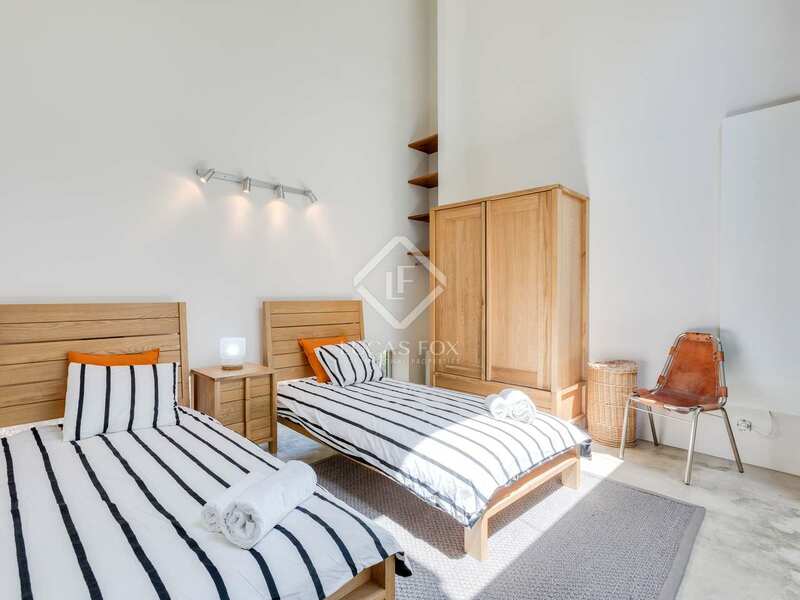 On the same ground floor level we find 2 double bedrooms, 1 bathroom with a shower and a utility room. 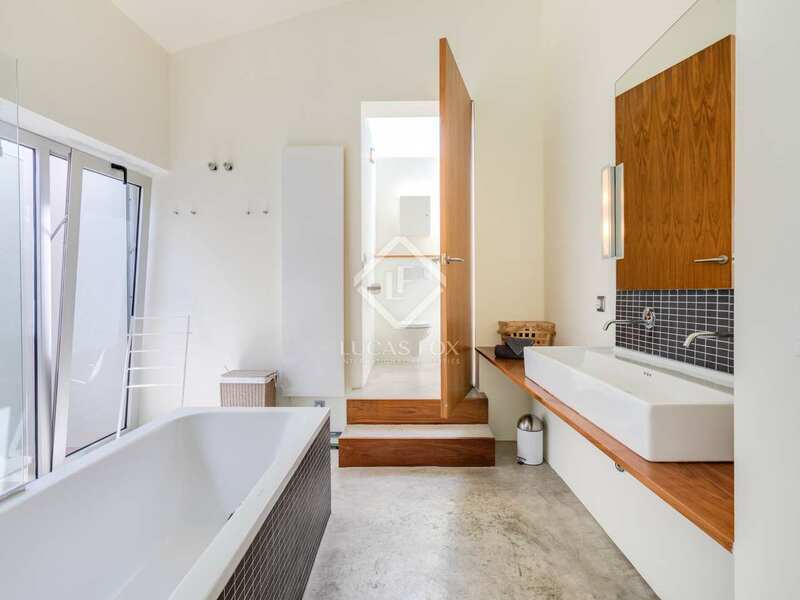 A staircase leads from the living area to the 1st floor master bedroom, equipped with an en-suite bathroom complete with bath and shower. 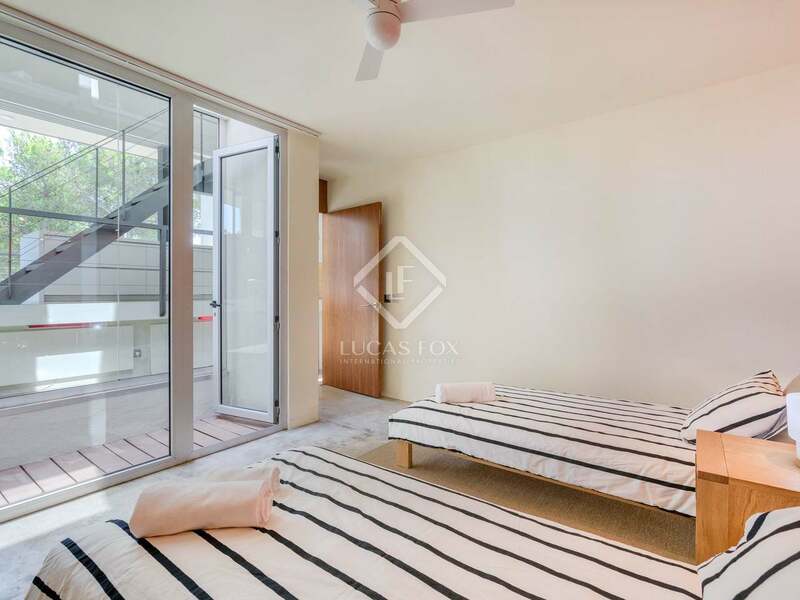 The garden area is low-maintenance with the potential to create shaded chill-out areas and additional spaces for al-fresco dining. 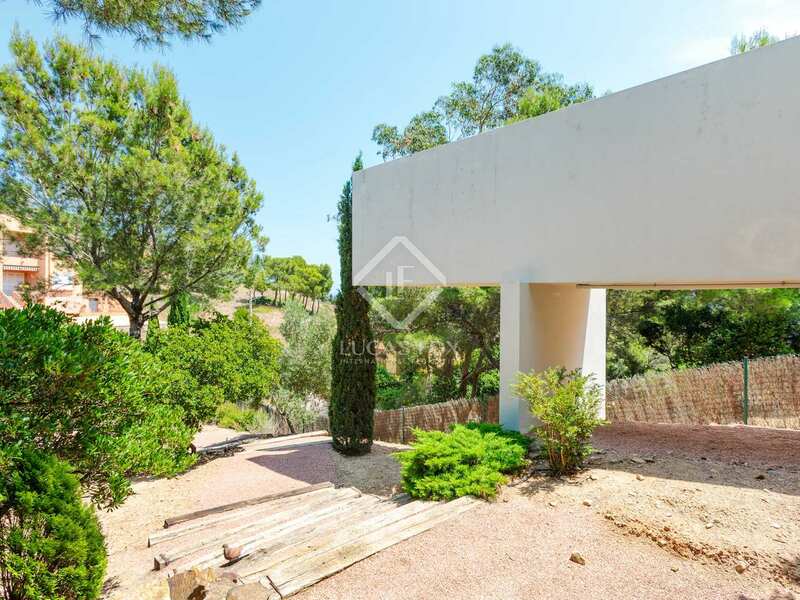 Underneath the house is the pool machinery and storage areas. 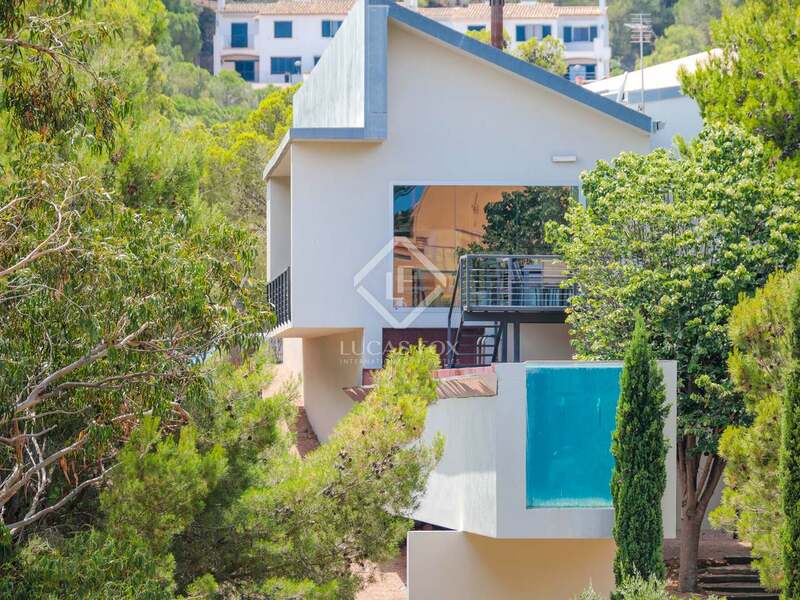 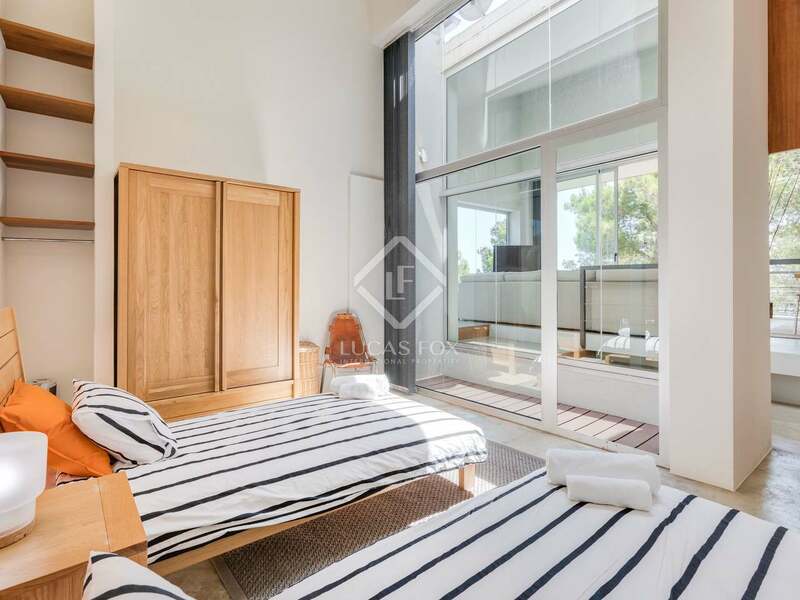 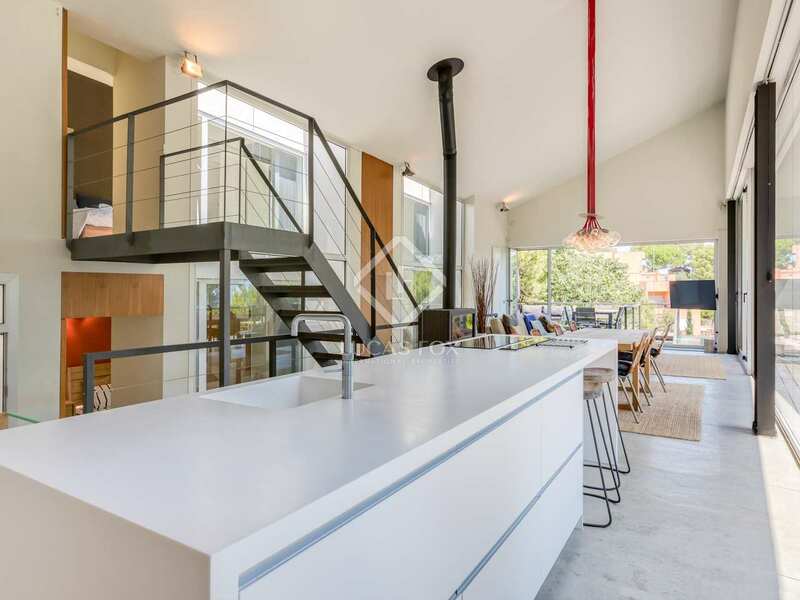 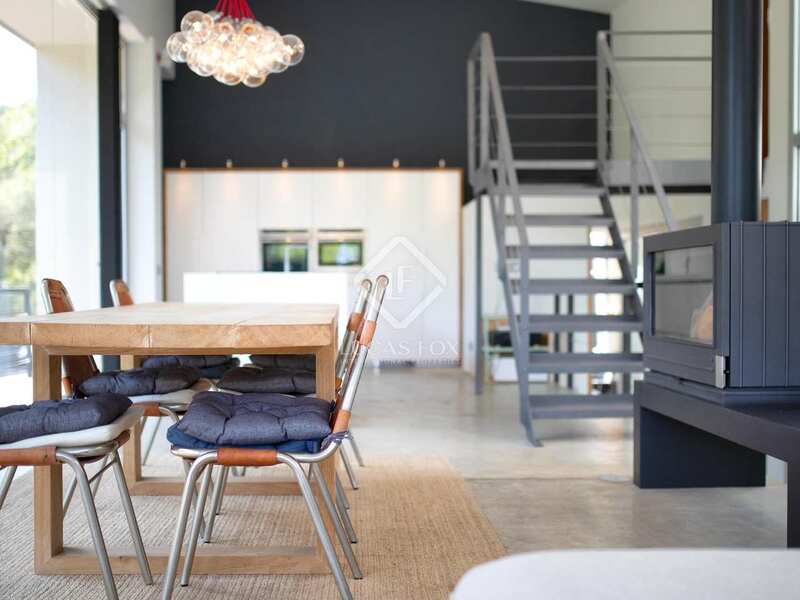 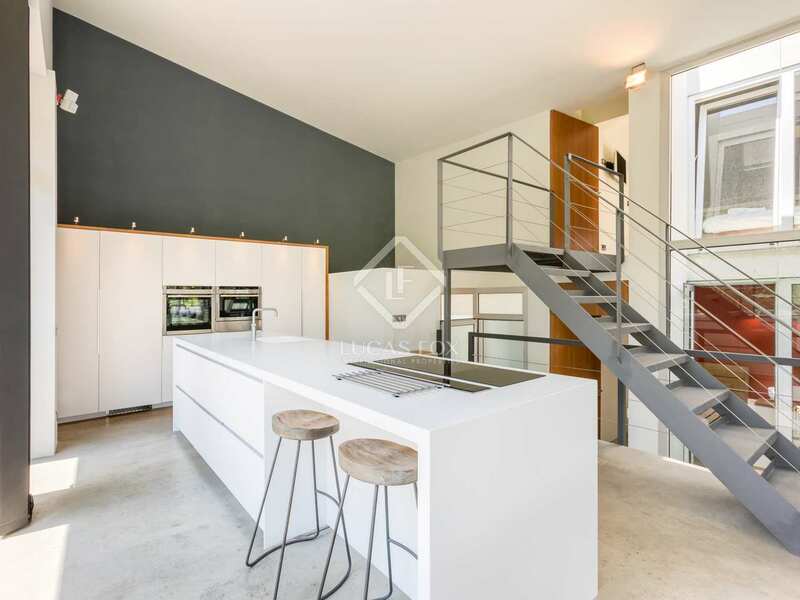 This minimal home with its distinctive architectural style and strong geometric lines is ideal for those looking for a unique, modern, sea-view property in a stunning natural location within easy walking distance of the sea. 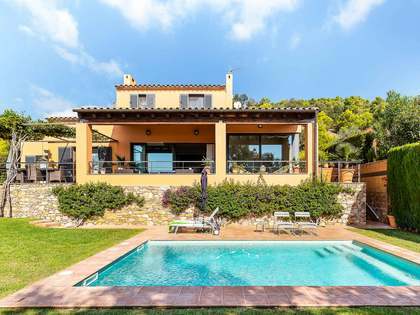 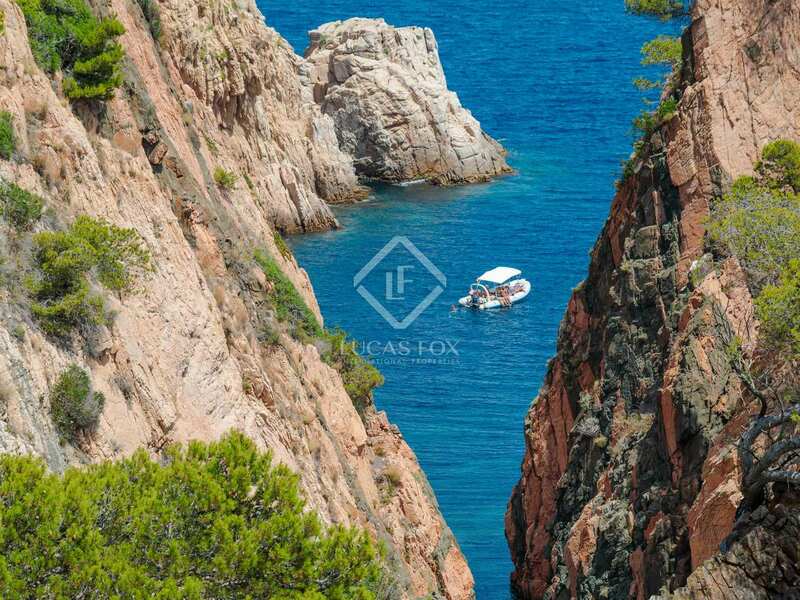 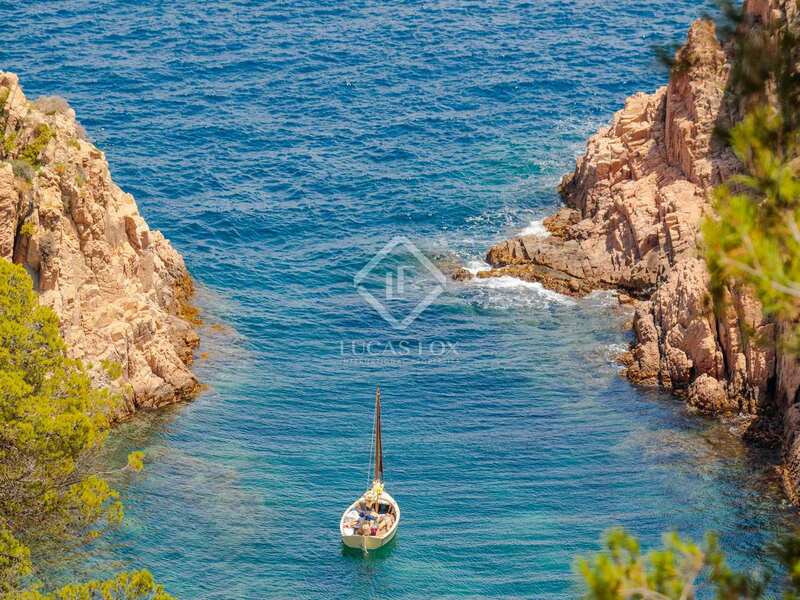 This villa is located close to the picturesque village of Tamariu, just a few steps from the bay of Aigua Xelida, a beautiful unspoilt part of the Costa Brava.